Monks Part 1 will enchant with its ethereal electronic sounds that are interwoven with overtone singing, gongs, rainstick, Tibetan horns and acoustic guitar sounds. One feels progressively relaxed is automatically reminded of an East Asian scenery. Only after 26 minutes into the piece a pleasant groove is slowly manifesting. 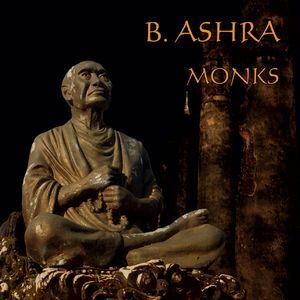 Monks Part 2 is a very deep meditative drone / dark ambient atmosphere with sound collages of nature sounds and Buddhist bells. You’re facing a fresh breeze and feel like being transported to places in the icy Himalayas. Composed in 1999 for a performance of the Kung Fu Academy, Berlin. Remastered in 2012 at GL Audio Studio, Berlin.